What’s So Beautiful About Tennis? If playing tennis has never been one of your hobbies or even casual pastimes, a vast sphere of experience and emotions is not available to you. 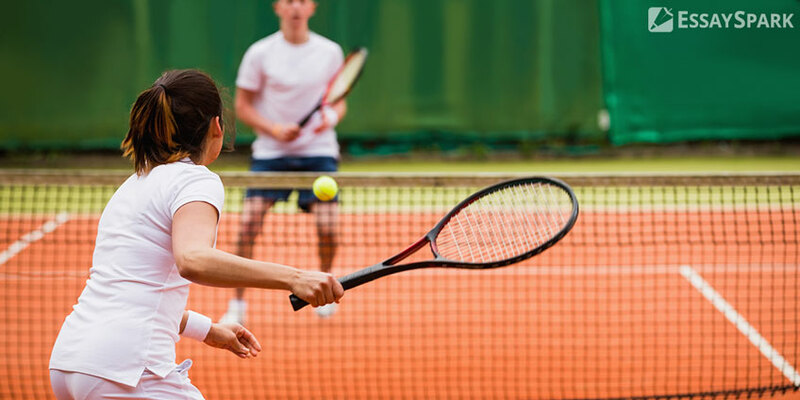 Tennis is just like any other sport to a certain degree, as there’s still a lot in common between what is tennis quintessence and rivalry, aesthetics, fair-play and the whole bunch of other integral phenomena typical of sports. On the other hand, tennis is so much different. Why? Let’s have a close look at it. Tennis is a very abstract game. Two people confronting each other are at a certain distance, and there’s no physical contact between them, and the ball is the only way they “communicate,” either attacking the opponent or being on the offensive. It really makes us think about abstractions, and namely abstraction in thinking, as you have to feel the surface to play well, and, of course, being perspicacious on different levels, starting from guesses about the weakness of your opponent and up to inventing crafty tricks. The importance of geometry and acting within its frames and logics also adds up to that abstraction in tennis. As we have already implied above, tennis is a very lonely game in that there’s no team spirit, all slings and arrows fall upon you. Within the court you are king, you can do everything. No wonder that such conditions are good enough to develop and polish your own playstyle, and here we remember that tennis is not for nothing called “chess on the court”, as achieving a very high level of play is impossible without a thought-out strategy, be it baseline or some romantic serve-and-volley. And last but not least, tennis is overwhelmingly beautiful. If you’ve never been startled at some unbelievable tricks of the greats, be it Andre Agassi, Roger Federer, Pete Sampras or even somebody else from your college, you missed a whole lot. Watching tennis played by such players is a lesson in aesthetics, pure and simple. And then again, one is tempted to make that analogy with chess with some unexpected moves or sacrifices (although, frankly speaking, there’s so much more physicality in today’s tennis than it used to be. Sometimes it’s even irresistible to watch replays of great rivalries of the 80’s or 90’s to have some exposure to different styles). It’s like the difference you feel in writing, too: some pieces are overstuffed with facts and are unbearable to read for a long time. While the others keep balance between facts and funny language, so they are pleasant and memorable. Get a decent essay help like that on Essayspark. As you can see, tennis has a lot to offer to anybody, be it a highbrow culture vulture or some hot dogger doing nothing but exercise physically. It’s really worth trying to play some matches and decide for yourself what it’s like to hear the sound of a ball after a good forehand and sneakers sliding on the court surface. Those are pretty simple but unforgettable moments that make you addicted to this beautiful sport forever. Apart from being a lifehack to possibilities of your own body (as any sport is to some extent), it teaches you beauty, control, focus, reaction and thinking out-of-the-box.